Friday Post: PiMAME 0.7.6 now with Gameboy support! I felt bad about the delay with PiMAME 0.7.5 so I’m releasing the next version early. ScummVM – A point and click adventure game engine. If you are running version 0.7 or above, just run the ./update.sh script to get these additions. The new image is being made and uploaded right now. This entry was posted in Friday, Gaming, programming, raspberrypi and tagged gameboy, pimame, raspberry pi by SSilver2k2. Bookmark the permalink. Please, allow the image to fit on a 4 GBs. SD card. Thanks. Hey Alex, what kind of SD Card do you have? 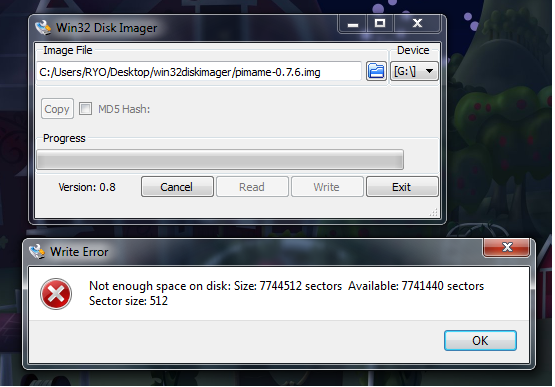 I’m using a 4GB Micro SD card.